A pioneer in legal and political theory, Schmitt traces the prehistory of political romanticism by examining its relationship to revolutionary and reactionary tendencies in modern European history. Both the partisans of the French Revolution and its most embittered enemies were numbered among the romantics. 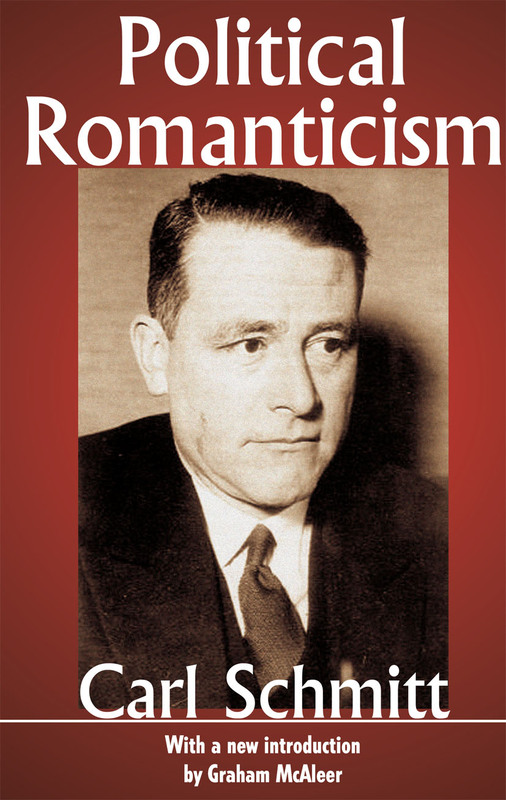 During the movement for German national unity at the beginning of the nineteenth century, both revolutionaries and reactionaries counted themselves as romantics. According to Schmitt, the use of the concept to designate opposed political positions results from the character of political romanticism: its unpredictable quality and lack of commitment to any substantive political position. The romantic person acts in such a way that his imagination can be affected. He acts insofar as he is moved. Thus an action is not a performance or something one does, but rather an affect or a mood, something one feels. The product of an action is not a result that can be evaluated according to moral standards, but rather an emotional experience that can be judged only in aesthetic and emotive terms. These observations lead Schmitt to a profound reflection on the shortcomings of liberal politics. Apart from the liberal rule of law and its institution of an autonomous private sphere, the romantic inner sanctum of purely personal experience could not exist. Without the security of the private realm, the romantic imagination would be subject to unpredictable incursions. Only in a bourgeois world can the individual become both absolutely sovereign and thoroughly privatized: a master builder in the cathedral of his personality. An adequate political order cannot be maintained on such a tolerant individualism, concludes Schmitt.